Here’s a cool eucalyptus wreath tutorial from FlowerFix that I really wanted to share with you. It’s one of the best I’ve run across. If you have ever wanted to try your hand at making a wreath, this easy-to-follow video tutorial will show you how easy it is to create a gorgeous eucalyptus wreath like this (or any type of wreath for that matter). It uses a basic “rinse and repeat” technique that once you understand the logic behind it, you can apply it to almost any floral design project. I think you will really enjoy this tutorial, especially if you are a true do-it-yourself enthusiast. Watch it and see if you agree with me. Pretty good stuff, yeah? Of course, it is! Ready to get started on your own eucalyptus wreath? If so, you’re probably wondering how much eucalyptus you’ll need. The amount you’ll need will depend on the size of the wreath frame you’re using, and how full you want to make it. For an 18 inch frame and 3 varieties of eucalyptus, I usually figure on using a 1/2 bunch of each type of eucalyptus I’m using. Sometimes more, sometimes a little less. There’s no exact science to it. You can purchase assorted freah eucalyptus consumer packs at FiftyFlowers, or order it from your local florist. Add some paddle wire, grab your floral cutters and you’re good to go. 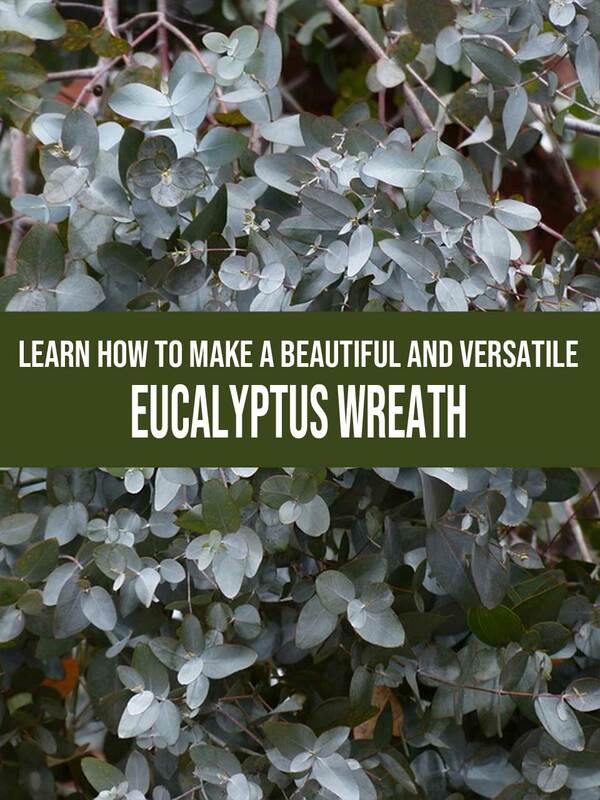 If you want to use dried eucalyptus instead of fresh, you can find it at many craft stores like Hobby Lobby and Michaels, or by ordering it through your local florist as well. With that out of the way, allow me to welcome you here. I’m Greg Johnson, the guy behind FlowersFloralFlorist.com and owner of Greenfield Flower Shop. Alright, before we get started, I’ve got something I need to say. In truth, the realization of this site was, if I’m being totally honest, a selfish act on my part. You see, I really enjoy watching floral design videos (like the eucalyptus wreath video you just took a look at), and a cool site on which I and my staff could watch my favorites is really what I was after. Also, I see this site as a decent financial opportunity as well. Just want to be transparent here. I don’t see anything wrong with earning a little money from sponsorship and product recommendations, and I hope you don’t either. The point is, this site does provide me with a small income. Even so… in no way is it my intention to sell you anything. And that’s the purpose this site serves. It’s basically an “all under one roof” resource for myself, my staff, and others who are interested in floral design and related topics. So keep on coming back! I’ll just keep sharing high-quality videos on weddings, plants, and flowers… and so much more. And of course, I love reading your comments. You’ll find the comments section below. Please use it, okay? Wedding Flower Etiquette – Who Should Get A Corsage Or Boutonniere?